Simon-Kucher & Partners is relatively small firm based in Bonn, Germany. Though the firm’s background is exclusively in pricing, in more recent years it has been breaking into other practice areas such as strategy, marketing, and sales. The firm has been growing rapidly, expanding across Europe and the U.S., and has landed some pretty huge clients like American Express, Barnes & Noble, BMW, Intel, LinkedIn, PayPal, PepsiCo, and Porsche. The firm prides itself on its entrepreneurial spirit, collegial work environment, and the diverse opportunities it offers its employees. Founded in 1985 by Professor Hermann Simon and two of his doctoral students, Eckhard Kucher and Karl-Heinz Sebastian, the firm made its name in Europe by becoming experts in pricing. In 1996, Simon-Kucher opened an office in Boston and began to put more of a focus on its other three practice areas: strategy, marketing, and sales. The firm has developed an impressive client list of many Fortune 500 companies from a variety of industries, but the majority of its business comes from pharmaceutical, healthcare, and medical technology firms. As an interesting aside, Simon-Kucher recently went outside the box and tried something new in the industry: they developed an iPhone app to allow businesses to perform quick analysis and find easy solutions to everyday business problems. Simon-Kucher is not a publicly traded company, and has a very unique leadership structure. It is run by two co-CEO’s and a board of nine members, joined by a total of 81 partners from different offices around the world. Dr. Klaus Hilleke & Dr. Georg Tacke stepped into their roles as co-CEO’s in 2009. The word “partner” means something different at SImon-Kucher than it does at many other consulting firms. 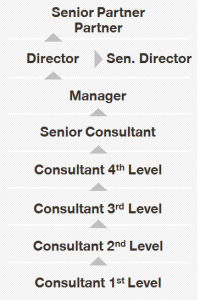 The firm’s unique partnership model ensures full entrepreneurial partnership for each member. What does this mean? Shares in the firm are widely spread between the firm’s partners, because the firm sets share prices based on an internal market as opposed to a formula. This makes shares easily transferrable. Over 21 partners at Simon-Kucher own at least 2% of the firm. The other key takeaway? This means that the firm’s founding partners were willing to move their shares at an early stage during the firm’s growth. This says a lot about the type of firm culture Simon-Kucher has aimed to build. Simon-Kucher and Partners has 33 offices in 23 countries around the globe. Cities with current offices include: Atlanta, Amsterdam, Barcelona, Beijing, Bonn, Boston, Brussels, Cologne, Copenhagen, Dubai, Frankfurt, Geneva, Hamburg, Istanbul, London, Luxembourg, Madrid, Milan, Mountain View, Munich, New York, Paris, San Francisco, Santiago de Chile, São Paulo, Singapore, Stockholm, Sydney, Tokyo, Toronto, Vienna, Warsaw, and Zurich. Exit opportunities from Simon-Kucher are plentiful, and vary greatly depending on your experience while at the firm. If you were a doctoral hire (or worked on many healthcare related strategy projects) you will have an open door into nearly any pharmaceutical, medical, or biotech company. Simon-Kucher also has a large client base in the automotive industry, and that is another next step for many ex-consultants from the firm. If you plan on staying in the world of consulting, Simon-Kucher sets you up nicely to transition to a strategy boutique or even MBB firm. The firm has a good reputation in the industry, and with proper networking and the right background, you’ll have a real shot to transition wherever you would like. Intern pay and training are on-par compared to what you will find at many other consulting firms, and prior interns have found it a good foot in the door for landing permanent positions. The firm accepts internship applications year-round, albeit only from graduate students. Though the pay at Simon-Kucher might not quite be on par with other comparable firms, what you do get is an early opportunity to advance. You are given full ownership over projects, which is ultimately what every top performer desires, right? Travel is unavoidable at Simon-Kucher. Every year the company pays for every employee to visit Germany for an all-staff conference. In addition, collaboration between offices is a norm, so you will definitely be spending at least a few weeks a year overseas or in different offices. If you find that you enjoy working in a different office, the firm will arrange for you to transfer to an office of your choice for up to six months, and if you want to make the switch permanently, it is fairly easily to make that happen. An additional perk? Simon-Kucher pays for subway passes for every employee, and after three years will reimburse you for any student loans you may still have. According to surveys, two of the most positive aspects of working at Simon-Kucher are the people and the flexibility. Current and ex-consultants consistently rave about the smarts and savvy of their co-workers. The firm has a high value for family life, and believes that cultivating a good life produces good work, which results in a office full of healthy people. One downside to working at Simon-Kucher is that despite what the firm will tell you in recruiting pitches and presentations, it is still mainly a pricing firm, despite its emphasis on touting its strategy credentials. This is only a negative if you don’t know what you’re getting into ahead of time. If you’re looking purely for high-level strategy work, then look elsewhere. However, MBB firms still look favorably on Simon & Kucher experience due to the great training the firm has made a part of its culture, so jumping to MBB a couple years down the line is definitely an option. But with the majority of Simon-Kucher’s projects being in the pricing realm, the opportunity for boredom to set in is there. Just be sure to keep this in mind as you apply and go through the interview process. Another major complaint we’ve heard about working at the firm is that compensation is markedly lower than industry standards. The firm justifies this by offering a lot of responsibility to their less experienced consultants, thus giving them opportunity to advance early and hopefully reach a salary that they would have started with at a competing firm. In addition, Simon-Kucher offers better perks than benefits. Getting that subway pass won’t be an issue, but you may be less satisfied with other, more traditional benefit packages. Simon-Kucher has a fairly rigorous interview process. The average process starts with an initial phone call (15-30 minutes) covering your background (practice walking through your resume! ), and a short case question. The next step is a second phone call which is a shorter fit interview. Finally, if you make it that far, you will be invited to an onsite “super day” where you go through three separate interviews with various consultants and partners and a written math test (be sure to brush up on those mental math skills!). This is one long and taxing day, so get some good sleep the night before! 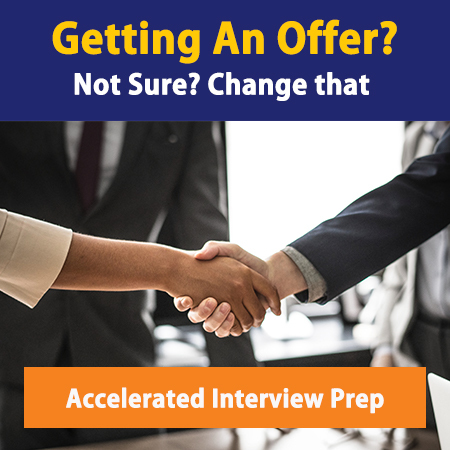 From what we’ve heard, the case portion of the interview is average in difficulty; the fit portion of the interview, however, will be the most challenging part of the whole process. You’ll see questions like “Why Simon-Kucher?”, “Why Consulting?” and curveball questions like “What is your investment philosophy?” The important thing when faced with these curveball questions is to take a stab at the answer; the firm wants to hire those who will – with a smile on their face – make an honest, intelligent attempt at answering a question they are not prepared for. News flash: this will happen with a client all the time. Networking your way into a position at Simon-Kucher & Partners is not very difficult if you’ve got the right education and experience. The firm is growing and currently looking to fill multiple positions. Access their events calendar to find out when and where you can network with someone from the firm and make sure you have your consulting-ready resume ready to leave with them. Secondly, set up your LinkedIn profile and search for Simon-Kucher & Partners employees in your network. LinkedIn shows around 550 firm employees in the United States alone, so it’s possible you know someone who knows someone at Simon-Kucher & Partners. For tips on planning your approach and delivering your elevator pitch, read The Networking Bible. If you have a passion for pricing, and are looking for an exciting career of travel and collaboration, you’ll be a good fit at Simon-Kucher & Partners.